Mould the students as professional diploma engineers with moral, ethical and social values and encourage them to become entrepreneurs. Diploma Graduates will have enhanced responsibilities/advancement in positions in Textile Industries or will have Bachelor’s degree in Textiles. Diploma Graduates will be engaged in life-long learning and will be professional, ethical and demonstrate the spirit of excellence in their career. Diploma Graduates will become successful small and medium scale entrepreneurs / business partners in Textile field, by starting new ventures/expansion of their existing family business and contribute to societal, technological and industry development. 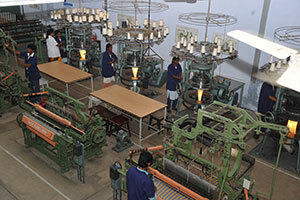 Ability to learn and adopt the advanced technology in Manufacturing /Maintenance / Testing areas. 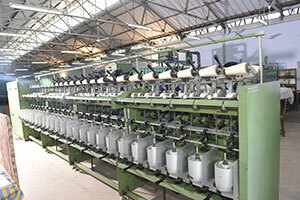 Ability to become small /medium entrepreneurs in their chosen textile areas or pursue higher education. The Textile Technology Programme was started in 1959 and the programme is accredited by the National Board of Accreditation, New Delhi. Fibre Science and Technology, Yarn Manufacture, Fabric Manufacture, Textile Wet Processing, Basic Engineering, Textile Design, Textile Testing, Garment Manufacture, Textile Management, Advanced Textile Manufacture, Garment Quality Control and Merchandising. Fibre Identification Practical, Yarn Manufacture practical, Fabric Manufacture Practical, Life and Employability Skill Practical, Textile Design Practical, Textile Wet Processing Practical, Garment Pattern Making Practical, Professional Practice and Mini Project, Advanced Textile Manufacture Practical, Garment Manufacture Practical, Textile & Garment CAD Practical.